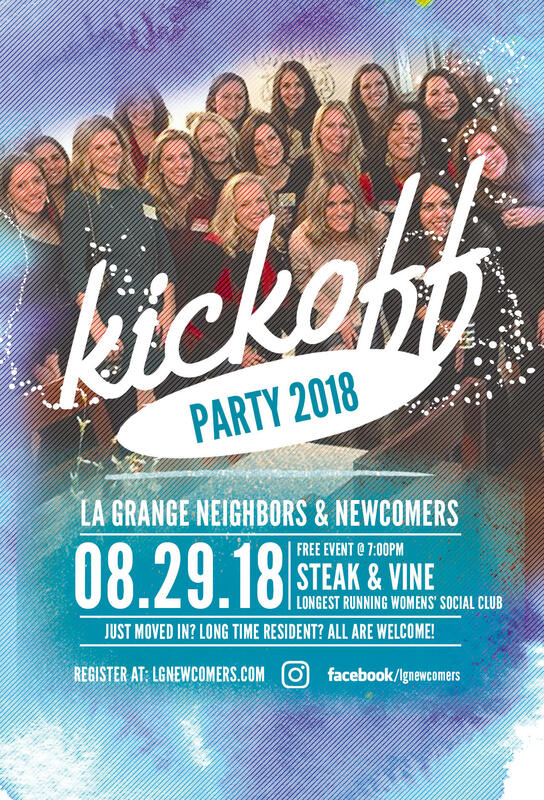 Join current and new members for the LaGrange Neighbors and Newcomers 2018/2019 Kickoff Party! Learn about the organization, meet amazing women, enjoy a glass of wine, and hear about all the incredible LGNN events coming up this year. This is a free event, open to all LGNN members and non-members.